➤ This camera has motion detection. If you wanted the higher accuracy of detection, you can choose to use the AI human body shape recognition function. AI Human Body Shape Recognition: An alarm is triggered only when a human figure is detected. The alarm accuracy is very high, eliminating the false alarm of the traditional surveillance camera. However, please note that this feature requires a fee. You can purchase this service in the app. ➤ If you want to save the video, you need to use a micro sd memory card. The camera supports 8~128GB, class10, and the file system format is FAT-32 format. 8GB can store 2 days of video, 16GB can store 4 days of video, 32GB can store 8 days of video, 64GB can store 16 days of video, and 128GB can store 30 days of video. In addition, in order to reduce the risk of video files being lost in the memory card, you can upload the video files to Alibaba Cloud Storage. (Storage sold sperately). ➤ It is very convenient for remote real-time monitoring on iOS, Android smartphones, tablets and window PCs anywhere,anytime. The APP name is V380 Pro. It is easy to be find on Google Play. In addition, the camera supports 802.11b/g/n 2.4Ghz (5Ghz currently not supported) Wi-Fi band. ➤ Built-in voice prompts.Supports Mandarin and English. 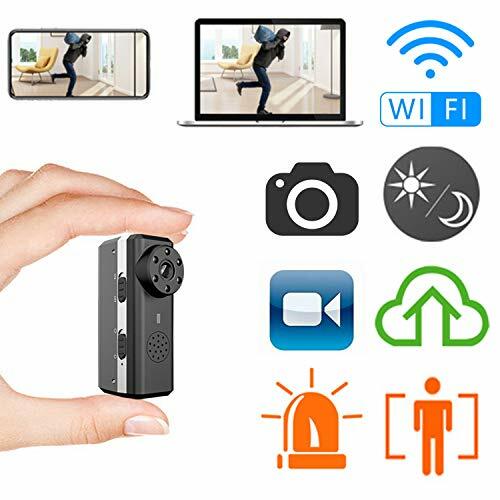 With 2-way Voice Intercom, the camera has built-in microphone and speaker to let commuicate with family and friends easily. ➤ Built-in 3300mAh 18650 battery. In night vision, it can work continuously for 8 hours. In the non-night vision state, it can work continuously for 15 hours. If you plug in a USB power outlet, you can easily achieve 7×24 hours of continuous monitoring.